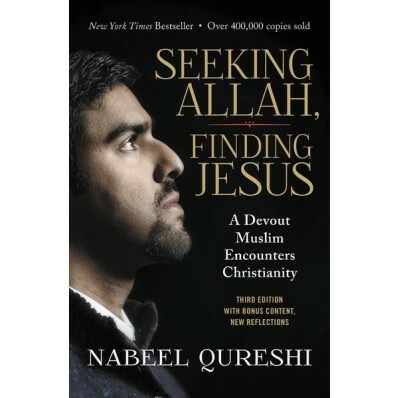 In Seeking Allah, Finding Jesus , now expanded with new bonus content, Nabeel Qureshi describes his dramatic journey from Islam to Christianity, complete with friendships, investigations, and supernatural dreams along the way. Providing an intimate window into a loving Muslim home, Qureshi shares how he developed a passion for Islam before discovering, almost against his will, evidence that Jesus rose from the dead and claimed to be God. Unable to deny the arguments but not wanting to deny his family, Qureshi struggled with an inner turmoil that will challenge Christians, Muslims, and all those who are interested in the world’s greatest religions. Engaging and thought-provoking, Seeking Allah, Finding Jesus tells a powerful story of the clash between Islam and Christianity in one man’s heart--and of the peace he eventually found in Jesus. The New York Times bestselling Seeking Allah, Finding Jesus has been expanded to include: A revised foreword and introduction A new afterword by Mark Mittelberg and reflection by Nabeel's wife A substantially extended epilogue that shares how Nabeel told his friend David of his decision to follow Christ, how his parents found out, and much more Expert contributions from scholars and ministry leaders on each section of the book, contributions previously included only in the ebook edition An appendix with a topical table of contents (for teaching from Seeking Allah, Finding Jesus ) An appendix tackling the objection that Ahmadi Muslims are not true Muslims And a sneak peek prologue from Nabeel’s book, No God but One: Allah or Jesus ?